Government forecasts on energy bills are misleading, a leading firm has suggested. RWE NPower has warned consumers that the costs of investing in renewable energy sources like windfarms and solar panels will be felt in rising bills. The company has warned that government estimates are over-optimistic and that by 2013 the average annual bill will be £240 higher than current levels. While supporting new energy sources, it called for greater openness about the underlying costs. NPower's chief executive Paul Massara, said: "We are very clear that we do not want to be critical of government - rather, we want to ensure customers have the facts, so that they understand that for this cost, they will get a low-carbon economy, security of supply and warm, insulated homes." 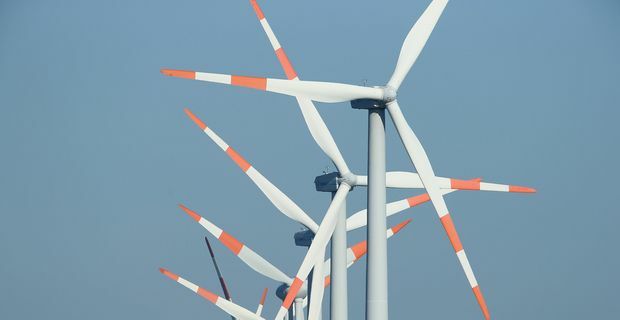 There is broad public support for renewable sources of energy, complicated by some fierce local opposition to actually having wind farms close to their homes. Research even suggests that consumers might be willing to pay more for investment in cleaner sources of energy. Research from Cardiff University does suggest though that consumers trust neither government nor energy suppliers. That is hardly surprising given the huge profits generated by energy suppliers that are very slow to pass on any reduced costs to their consumers. The message is that the companies are happy to explore renewable energy sources as long as customers pay for the privilege. Experts from the Association of the Conservation of Energy point out that NPower's stance is typical of energy companies who want to minimise their own contribution to investment. Nick Pidgeon, who headed the Cardiff research team, told the BBC that "the trust issue is critical. We have seen protests round energy system developments like wind farms over recent years. There won’t be all the investment that’s needed on energy systems if the energy firms and the government can’t persuade people to trust them."